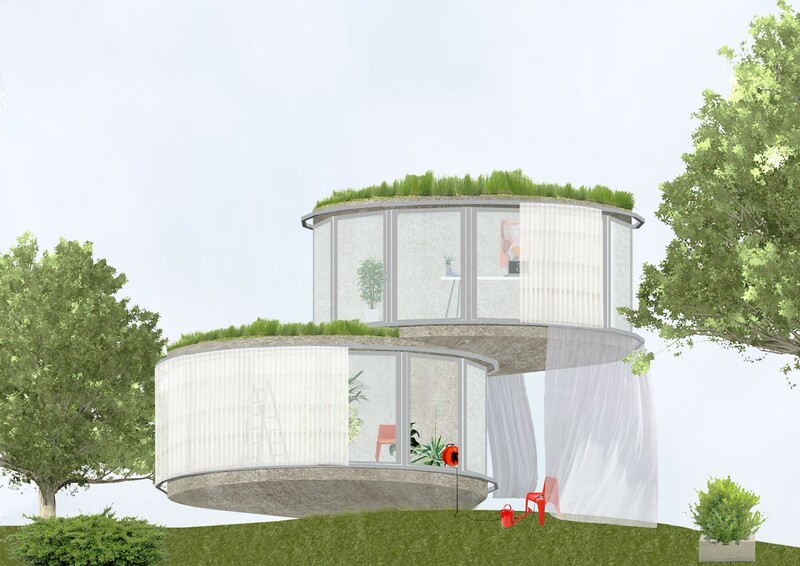 Concept for the partial development of a listed garden with residential units. 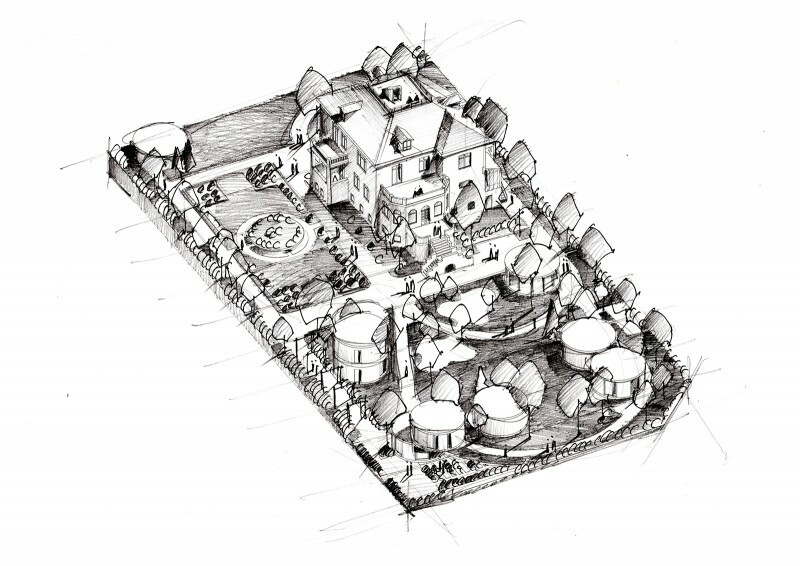 Sketch by landscape architects Atelier Le Balto with garden design and guesthouses. 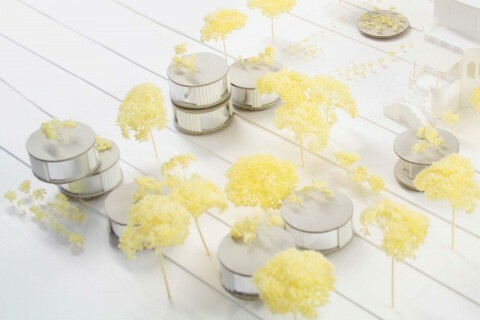 c/o now did a research which botanicals were originally planted in the garden, Atelier Le Balto "translated" this into a spatial arrangement of heights and densities that once must have characterized it. The landscape gardener Albert Fuhrmann is the originator of the garden's initial setup. To place the guesthouses as cautious as possible, his considerations and the resulting garden spaces are the foundation of the new building's positioning. The different types of the De Gruyter Guesthouses. 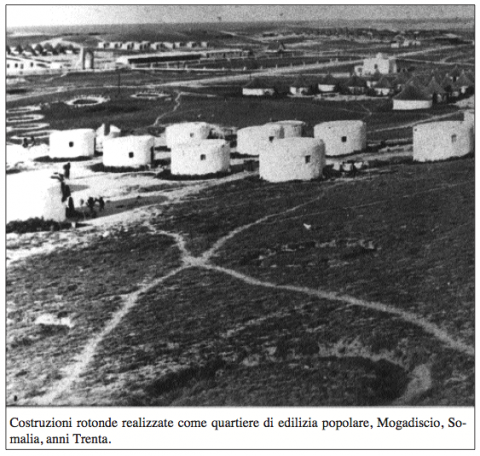 "Odd, bunker-like round houses in Mogadishu, built in the 1930s – I wonder if they still exist. Mogadishu evidently witnessed a period of modernist expansion in the 1930s, including the construction of several majestic art deco buildings. Most were badly damaged if not destroyed during Somalia’s decades of civil war." 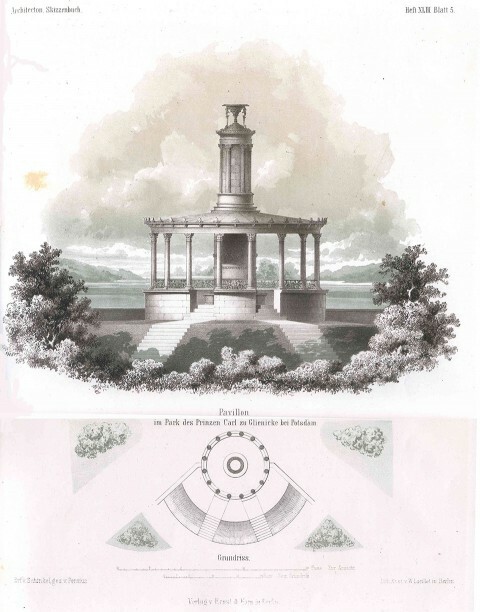 A small history of garden pavilions. Postcard of a typical villa colony from the 19th century. Small buildings in the gardens were always an integral part of this type of settlement. 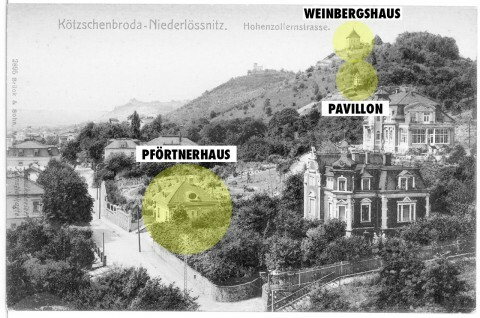 In the case of Kötzschenbroda-Niederlössnitz: a Weinbergshaus (vineyard house), a gatehouse and a "simple" pavillon. 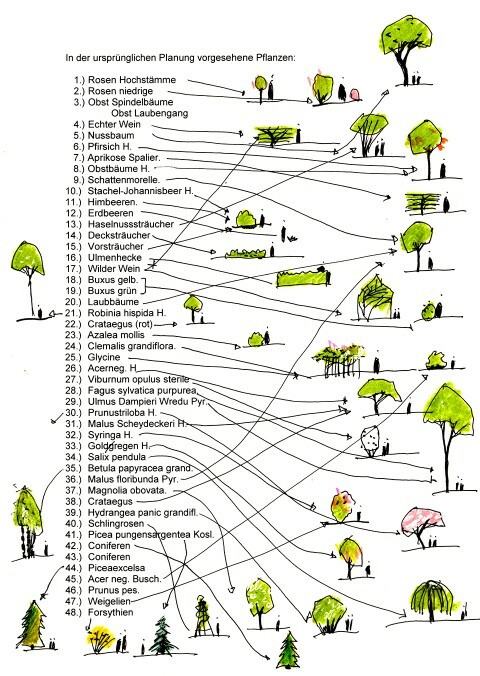 Tom Steinhöfer once came along with the concept of the "Garden hermit" that he thought he recognized in the role of Friedrich Liechtenstein in Roger Bundschuh's building "Linienstraße 40" in Berlin. 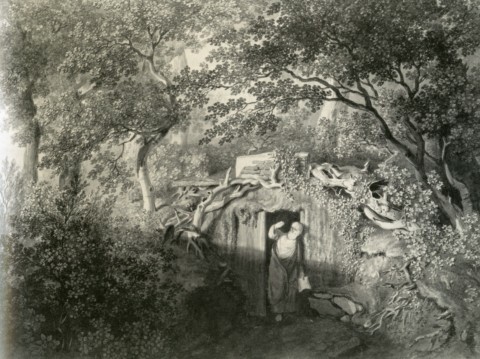 Garden hermits - as Wikipedia says - were "encouraged to live in purpose-built hermitages, follies, grottoes, or rockeries on the estates of wealthy land-owners, primarily during the 18th century. Such hermits would be encouraged to dress like druids and remain permanently on-site, where they could be fed, cared-for and consulted for advice or viewed for entertainment." For some reasons we couldn't help ourselves and kept thinking of this from the beginning of this project. 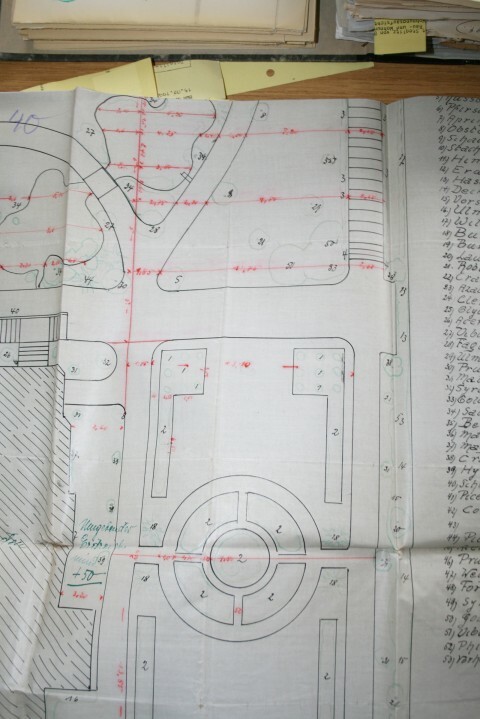 Approval plans in the construction archive.